It is not unheard of for car windshields to be subject to damage on one or more occasions during the course of the vehicle’s life span. There could be several reasons as to why an auto glass may be damaged. It could be due to flying debris striking the windshield while you’re driving down a dusty road, a branch falling on it, etc. Whatever the reason for the damaged windshield, it is highly important that you get it treated right away. Lake Travis Mobile Glass offers top quality windshield replacement and auto glass repair services at incredibly affordable prices. There are many reasons why you can trust Mobile Glass for effective and affordable windshield repair, windshield replacement, or any other kind of auto glass services. Our customer service lines are open 24/7 and we handle all emergencies regarding auto glass repair and windshield replacement in the Llano area. Our technicians are warm and friendly, and also possess the requisite skills to deliver the best service. We also give you the option of choosing between OEM and aftermarket glass which helps us to work within your budget. Check out some of our recent and past reviews from REAL customers just like you! There are times when auto glass suffers serious damage that does not allow you to drive your car down to a windshield replacement shop. In such cases, Lake Travis Mobile Glass is a fantastic option. 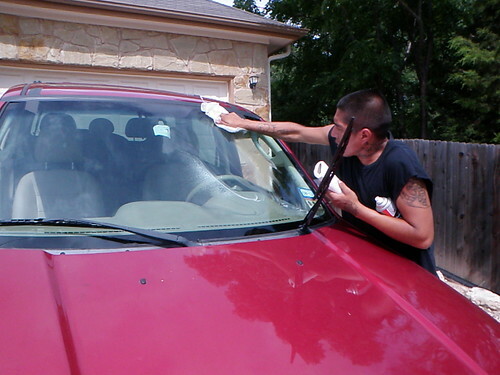 We come to you to do the windshield repairs and replacements and for a surprisingly low fee. You’ll find that our competitors charge the same price, but you have to drive to them. In other words, the ‘mobile’ part—making everything more convenient for you—is free! We ensure quality service for window regulator repair, electric car window repair and power window repair right at your doorstep. If your vehicle’s windows are not working as they should, there could be a problem with the regulator. We can verify this for you and repair it so your windows return to optimal operation. At Lake Travis Mobile Glass, we have some of the most experienced and skilled technicians trained to repair all top car brands including Porsche, Mercedes Benz, Lincoln, Lexus, Land Rover, Infiniti, Cadillac, BMW, Audi and Acura. Whether you need a simple windshield repair, a complete replacement or window regulator repair, we can provide the best answers and service. Call us now at (512) 240-9121 to learn more about our auto glass repair/auto glass replacement solutions and to get your service scheduled.